Penticton, BC: The Penticton Vees (33-14-1-2) and Vernon Vipers (22-19-7-3) are both coming off losses to the Chilliwack Chiefs as they kick off a home-and-home series Friday night at the South Okanagan Events Centre. The Vees were in Chilliwack Saturday, dropping a 3-2 game. After opening the scoring in the first, Penticton gave up three straight goals, two on power plays and one while shorthanded, before cutting into the Chiefs lead in the third period. 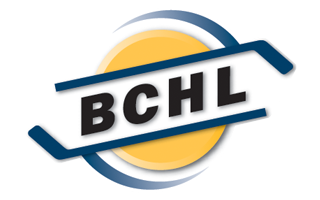 The loss was especially frustrating given the overall standings in the BCHL, with the Vees trailing the Chiefs by four points heading into Saturday’s game. Luke Loheit and Massimo Rizzo scored for Penticton. The Vees still hold top spot in the Interior Division, four points up on the Merritt Centennials who shutout the Coquitlam Express 5-0 Wednesday night. 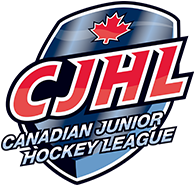 By the end of the weekend Penticton will have a game in hand on the Centennials as they play three games in the Island Division this weekend. The Vipers hosted the Chiefs Wednesday night, also dropping a 3-2 game. Leading 2-1 after two periods, the Vipers gave up a power-play goal 7:11 into the third before former Viper Mitch Andres came back to haunt his old team, scoring the game winner with 8:29 to play. Despite the recent losses, the Vees and Vipers have been rolling since the calendar flipped over to 2019. Penticton holds a 9-3 record while Vernon is 9-3-1-0. This weekend will wrap up the season series between the long-standing rivals as they meet at Kal Tire Place Saturday at 6:00. The last meeting was nearly two months ago, December 19 in Penticton. Luke Loheit scored with under a minute remaining to break a 1-1 tie, giving the Vees a 2-1 win. Overall the Vees have won three of the first four meetings this year, the lone blemish a 2-1 loss October 6.